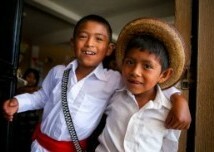 Mission Guatemala : Latest News : Newsroom : Latest News : Daily Lunch Program Opens In Choquec! Daily Lunch Program Opens In Choquec! More news from Choquec! Excitement filled the air yesterday as the first meals were served in Mission Guatemala's new daily lunch program at the elementary school in the community of Choquec! In a morning filled with laughter and speeches, songs and traditional dances, the students, teachers, families from the community, and Mission Guatemala staff joined in the celebration, along with mission teams from Advent UMC in Simpsonville, South Carolina, and St. Mark's UMC, in Carmel, Indiana. The lunch, which will be served each weekday in the school, is made possible by Mission Guatemala's child sponsorship program. Through the support provided by the individual child sponsors, we are able to provide not only a nutritious daily lunch for students in the community of Choquec, but also access to Mission Guatemala's medical clinic and needed school supplies. Each one of the 97 students in the school benefits from this program! 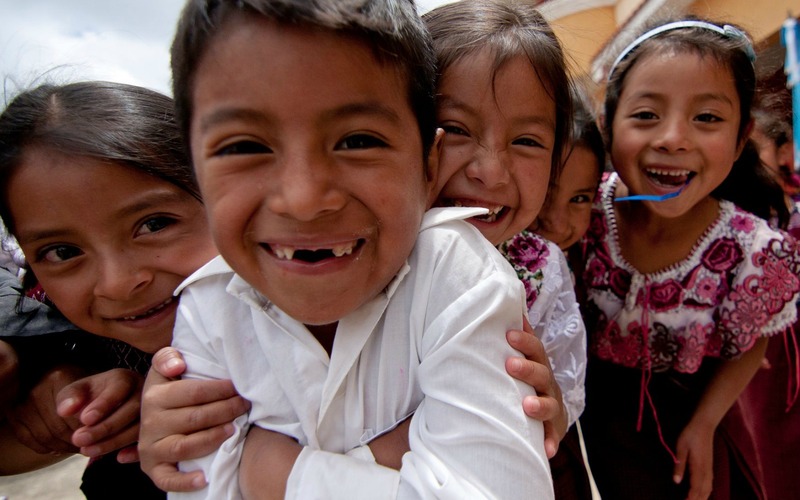 Since nearly every family in the community of Choquec has a child enrolled in the school, by providing a hearty lunch to every student we are able impact the nutrition and health of most of the families in the community. Families are also closely involved in the process, with mothers from the community helping prepare the meals each day alongside Mission Guatemala's staff. For a complete album of pictures visit our Facebook Page! There are still 57 children in the school awaiting sponsors like you! To meet the children and to learn more about the benefits of a sponsorship click here!